(1) Michael was told that if he insisted on testifying, which he wished to do, he would be forced to represent himself. Thus he was forced to choose between his right to counsel, and his right to testify. When Michael did testify in 2006, the State was unable to impeach his account of what happened. (2) The jury had preconceived opinions of Michael’s guilt, and counsel failed to strike jurors who showed bias and prejudice, after being intimidated by the judge. (3) The defense were not allowed to impeach the State’s main witness Frances Smith, who also lied on the stand by denying that she had been given immunity from prosecution in exchange for her testimony ( which in any case was inconsistent with the autopsy evidence ). (4) The State used scare tactics to persuade Deborah Hanzel to give false testimony to corroborate Smith’s testimony. At a post-conviction hearing, Hanzel testified that her testimony was false, and explained how she had been coerced by lead investigator “Bob” Daniels, who told her that Lambrix would harm her children if she failed to testify. (5) At a post-conviction hearing, Smith admitted she had a sexual relationship with lead investigator Daniels, who coached her how to testify. (6) The defense were not allowed to elicit testimony that Clarence Moore was a career criminal, and had a criminal history that included assaulting women while intoxicated. In spite of the manifest unfairness of his trial, Michael’s application for leave to file a successive habeas petition was denied, and he remains on Florida death row, facing imminent execution. The appeal is available here : http://www.southerninjustice.net/11th-circuit-appeal.html. A Facebook Page has recently been created to help publicise this obvious injustice. In a video by Off-Center Media, law enforcement officials detail how an Ohio man was convicted and sentenced to death for a double-murder he did not commit. Tyrone Noling was convicted of the murder of Cora and Bearnhardt Hartig and sentenced to death in 1996. 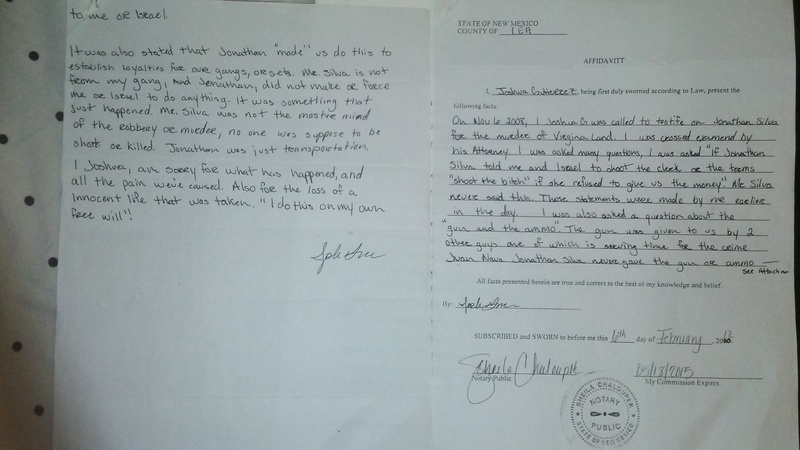 No physical evidence linked Noling to the crime, only the testimony of his three codefendents who implicated him in exchange for their own immunity. The three men have since recanted their testimonies, saying police threatened them with the death penalty. In the video, former Portage County Sheriff Kenneth Howe and veteran homicide detective Jim Trainum describe how police and prosecutors fed the men information about the crime scene. According to Ohio Innocence Project director Mark Godsey, an inmate on death row confessed to committing the crime in a letter sent to his brother before his execution. The video is narrated by Raymond Towler, who spent nearly three decades in prison for a crime he did not commit before his exoneration in 2010. Noling is represented by the Ohio Public Defender and the Ohio Innocence Project.